I'm a mother of three amazing children, one fluffy puppy and wife to a husband I absolutely adore. My family is my world, but I also have another love … photography! Constantly looking for inspiration, I sometimes feel like my world is made up of all different images; not just the ones we see with our eyes but extra layers, textures and the added bits and pieces I collect in my mind to create that one perfect shot. I guess I take photos because I feel like I just can't live without them in my life. That feeling I get when a parent sees their baby images for the first time … the look of pure happiness and joy on their faces means more to me than I can possibly explain. Knowing that I have created something that evokes such emotion in another human and knowing I have made them feel this way is the best reason to get up and go to work every day. Although my passion for photography started in 2003, having young children and an Army officer for a husband meant a lot of moving. Over the past 20 years we have lived all over Australia and also spent two amazing years in the US. We have truly enjoyed our journey and I'm extremely proud to be an Army wife. The past 6 years have really taken off for my business and I'm now working full time. 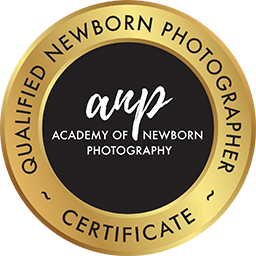 I'm a completely self-taught photographer and, although awards and competition are not for me, I am a member of the AIPP (Australian Institute of Professional Photographers) and my work has been judged by them to be of a high professional standard. I enjoy working with natural light whenever possible, but also have full studio lights set up. I LOVE children! Starting out as a wedding photographer, I soon found my true passion was for photographing children, from newborn to styled teen sessions. I think every child is special and unique, so getting to know them is a pleasure. I'm blessed to be able to follow many of my clients through maternity, newborn, sitting-up session, cake smash, family, new additions watching them grow as a family through my lens. Creating memories is what I do ... and hugging babies, I also do a lot of that! I have spent countless hours training to safely pose and handle your little ones. I'm fully immunised, trained in infant and child CPR and safety is my number one priority. Could there be a more nostalgic place to capture memories that will last a lifetime? At Rule of Thirds Photography I have two studios in Old Petrie Town, north Brisbane; one is in the main street opposite the Ole Lollie Shop (dangerous!) 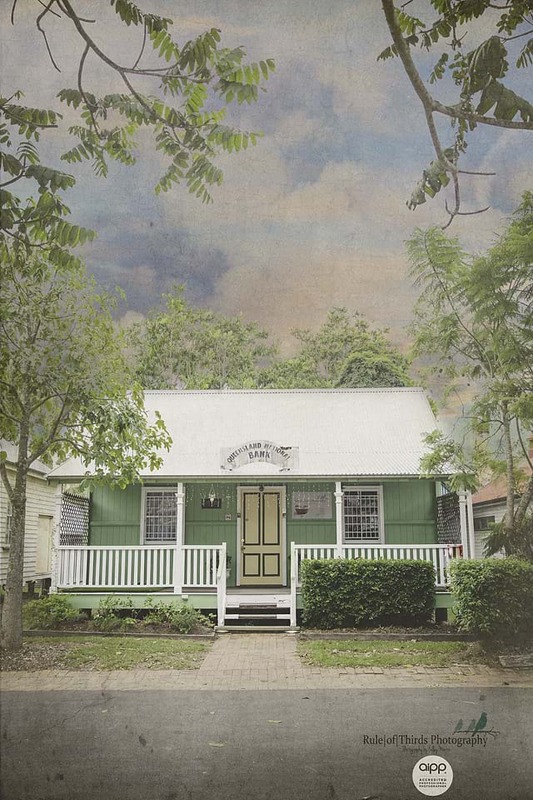 and the other is a little cottage studio for my styled sessions, just 100m across the grass. One of the many advantages at this studio is an awesome outdoor area right on the door step; a lot of magic happens here! I also offer location, in-home and outdoor sessions depending on your requirements and photographic needs. Having my own studio space is a dream come true, a lot of hard work went into that dream, but it’s an absolute joy to have. Rule of Thirds is well known for having great props such as my circus van, vintage cars and a full-size carousel horse. I have collected and sourced amazing items from all over the world. Of course I love to shoot natural sessions too! Thank you for taking time to visit my website. I look forward to meeting you and creating something special together! To book a photography session for newborns, children, family portraits or styled beauty sessions, please contact me today on 0422 458 401 or email ruleofthirdsphotography@yahoo.com.au. Otherwise you can check us out on Facebook, just click on the Contact page for details.